NASTT’s No-Dig Show offers numerous networking opportunities, educational fundraisers, and a chance to enjoy a little fun with industry leaders in addition to extensive track sessions, educational opportunities and exhibit floor. 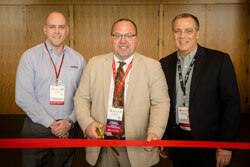 About: Full conference attendees are invited to rise and shine at the Kick-Off Breakfast! 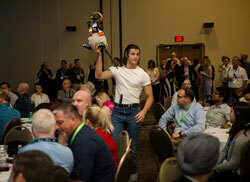 The morning will provide a fun mix of networking, good food, the much-anticipated NASTT and Trenchless Technology awards as well as unforgettable entertainment from motivational speaker Jody Urquhart. This year’s esteemed awards will include NASTT’s 2018 Outstanding Papers in Rehabilitation and New Installation, as well as Trenchless Technology’s 2019 Person of the Year and 2018 Projects of the Year. A highly sought-after motivational speaker, Jody Urquhart is passionate about spreading the message of the importance of fun and meaningful work. A motivational speaker for over 16 years, Jody speaks at over 60 organizations and associations every year, and is a top keynote speaker. 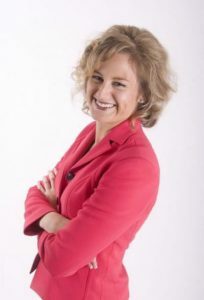 Jody’s trademark is to deliver very funny motivational speeches, humour is a key part of her audience connection. About: Be there for the official exhibit hall opening! 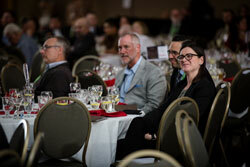 Listen to a brief speech from this year’s Program Chair, Cindy Preuss. Learn about the Auction here. About: We invite you to attend the trenchless industry’s premier awards dinner! At this ticketed event, you will join leaders and colleagues from across the industry while we honor those who have accomplished outstanding achievement in their respective fields. 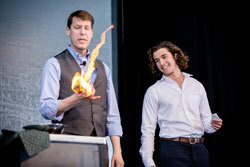 In addition to S. Joel Norman and his band providing a high-energy dueling pianos performance, NASTT will present and recognize its Hall of Fame Class of 2019, as well as the Chair’s Award for Outstanding Lifetime Service, the Ralston Award for Young Trenchless Achievement and the Abbott Innovative Product Awards. S. Joel Norman delivers a soulful, gospel sound tempered with a southern rock growl polished with a hot Chicago brass section and sweet vocal harmony. His voice reflects The Black Crowes’ Chris Robinson, and his honest, rock and soul music compliments his blue collar roots and disarming sense of humor. His band is a hand-picked all-star group of some of the finest players from the best groups in Chicago and around the country. About: The Closing Luncheon is the final event during NASTT’s No-Dig Show. This great networking luncheon will give everyone an opportunity to say goodbye to the friends they have met and make plans to work with these new contacts throughout the year. At the closing lunch you will hear from our next Program Chair Joe Lane on what is in store for NASTT’s 2020 No-Dig Show in Denver, CO. Copyright 2018 Benjamin Media, Inc.